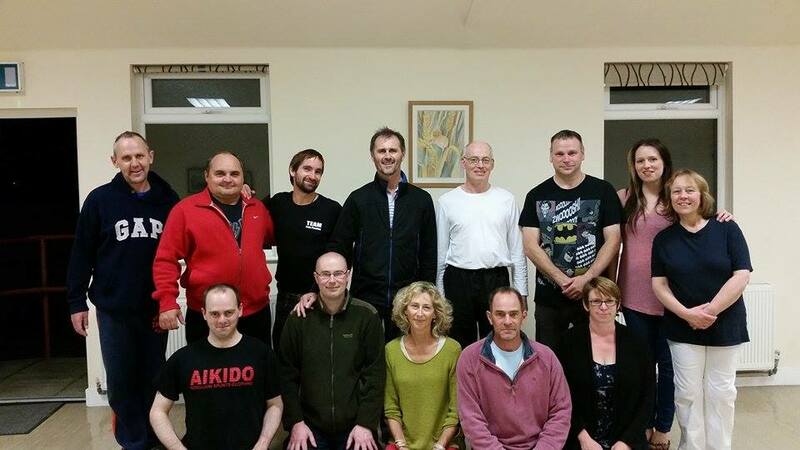 Sensei Tony J. Wilden 5th Dan and the Arun Aikido Club, who are based in Bognor Regis West Sussex UK, hosted their special Aiki Peace Week seminar for the 5th year running, as part of the United Nations peace celebrations.... and it was full booked! Sensei Piers Cooke 7th Dan from Coldharbour Aikido Club in Surrey, joined us again with two of his students James and Morag. Sensei Neil Starks 4th Dan from Ryusui Ryu in Sussex, unfortunately, couldn't make it this year, but his student Mike was able to join us. Sensei Tony took the warm up, which included breath control, meditation, tibetan yoga, aiki exercises, and partner work, all designed to release stress, aid relaxation, and balance the energy centres (chakras). 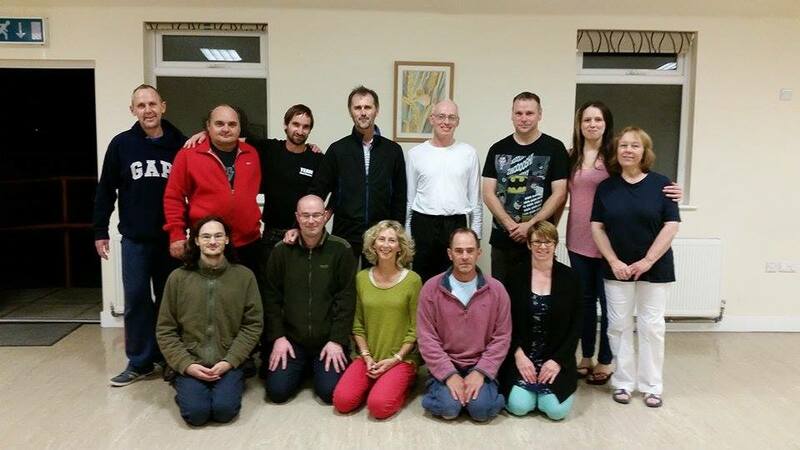 Then Sensei Piers told us about the work that Aiki Extensions is doing with Training Across Borders (TAB) a major international peace building seminar series that brings together aikido students from conflict regions around the world. Sensei Piers took us through several aikido techniques, including shihonage and kote gaeshi with explanations, analogies, and story telling to pass on the aiki principles. One important message that Sensei gave us, was that our lives are like the flame of a candle. We influence everyone we meet, wherever we go, and have the ability to shine a positive light on people and the world. We can pass on peace, harmony, compassion, and respect to all, and encourage others! Finally to close the 2015 Aiki Peace week seminar, Sensei Piers took us all through a very relaxing meditation journey... excellent! Both Sensei Tony and Sensei Piers mainly used Sensei Robin Wilden as uke for demonstrations. This is because of his ability to relax, adapt and help get the message across to students in the best possible way. Apart from the benefits to students, we raised £105 in donations for the important work that Aiki Extensions are doing all over the world. Here are our unique pictures and video. we hope you enjoy them.